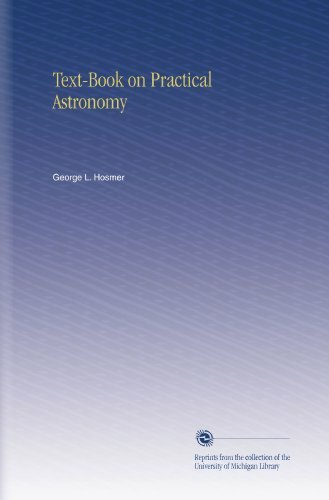 The purpose of this volume is to furnish a text in Practical Astronomy especially adapted to the needs of civil-engineering students who can devote but little time to the subject, and who are not likely to take up advanced study of Astronomy. The text deals chiefly with the class of observations which can be made with surveying instruments, the methods applicable to astronomical and geodetic instruments being treated but briefly. This volume is designed especially for the use of the cadets of the U. S. Military Academy, as a supplement to the course in General Astronomy. It is therefore limited to that branch of Practical Astronomy which relates to Field Work.